With the death of Count Simon VI in 1613, Lippe was divided in four: Lippe-Detmold (held by the senior line of descent under Simon VII), Lippe-Brake (passed to the next oldest son, Otto), Lippe-Schwalenberg (held by the next in line, Hermann, who is included alongside the counts of Lippe-Detmold), and Lippe-Alverdissen (held by the youngest, Philip I). Each division retained the status of a county, although the secondary divisions rarely held any territory of note other than the odd castle or town. A cadet branch of the counts of Lippe-Biesterfeld became the counts of Lippe-Weissenfeld in the form of Ferdinand Johann Ludwig in 1762. Officially, they lost power in 1781 when their authority was rescinded, but they continued to claim the title of count, unfortunately distributing it amongst several descendants at once to create a confusing mess of names, with no particular branch of the family apparently having precedence over another. The trail of 'counts' peters out at the start of the twentieth century, but there remain plenty of descendants of the first count, Ferdinand Johann Ludwig, who may still be using it. First lord of Lippe-Weissenfeld. House of Lippe-Biesterfeld. Brother. Carried the title of 'count' during his brother's lifetime. Great-grandson of Ferdinand Johann. Count. Died aged 59. Son of Hermann. 'Count' during his cousin's lifetime. Brother. Also 'count' during his cousin's lifetime. Son of Octavio. 'Count' succeeding his father. Dau of Armin. Born 1852. Countess. The imperial court is forced to rule on the decision of 1897 that had upheld the claim by Ernest of Lippe-Biesterfeld to be the rightful successor to Prince Alexander of Lippe. As Alexander is the last of the Lippe-Detmold line, and the only other claimant, Count to-be Adolphus of Schaumburg-Lippe, is a junior member of the Lippe princely house, Ernest's claim is upheld. Lippe-Biesterfeld merges back into Lippe and all further details for that branch are listed in the main Lippe line of hereditary descent. Dau of Alfred. 'Count' during her cousin's lifetime. The title of count of Lippe-Biesterfeld has already merged with the principality of Lippe in 1905, when Leopold had succeeded the now extinct princely line. However, on 24 February 1916, Leopold upgrades various titles, with that of 'Count of Lippe-Biesterfeld' becoming 'His Serene Highness, Prince'. The same honour is bestowed on the same day upon the counts of Lippe-Weissenfeld, while other members of the family receive upgraded titles on 9 November 1918. 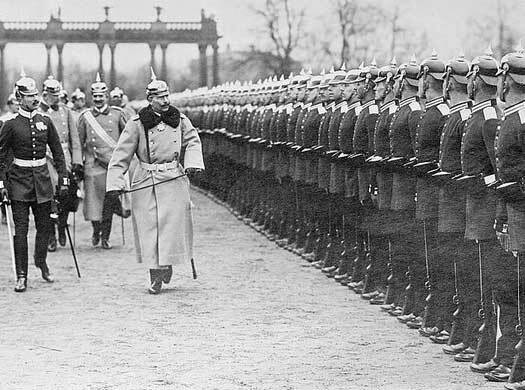 Following collapse at the end of the First World War, Germany becomes a republic with a new government, proclaimed on 9 November 1918, but without a president until 1919. All the princely states in Germany are abolished and, locally, Detmold served as the capital of the Free State of Lippe. 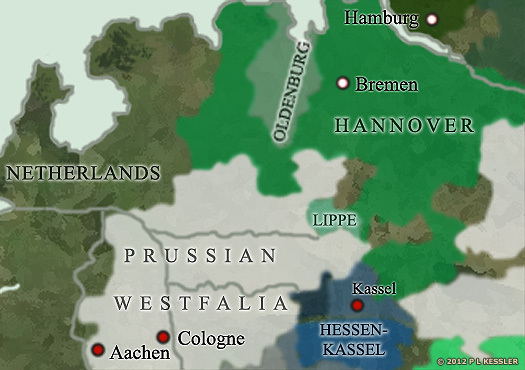 This is an autonomous region which retains a level of independence in local affairs until January 1947, when the occupying forces of the British sector merge Lippe into the newly-formed state of North Rhine-Westphalia. After being forced to abdicate as prince of Lippe on 12 November 1018, Leopold retreats to the residential palace, the Residenzschloss Detmold, which remains in the possession of the prince and his family. The hereditary princes of Lippe still live there today as their primary residence. The three sons of Prince Leopold of Lippe by his first wife sign up to the National Socialist German Workers' Party (NSDAP). The eldest, Prince Ernst, is reputedly the first German prince to do so. Both of Prince Leopold's eldest two sons had contracted unequal marriages, so Leopold writes them out of his will, making his youngest son, Armin, by his second wife his heir. When Leopold dies on 30 December 1949, Armin becomes the head of the House of Lippe and possessor of Schloss Detmold. 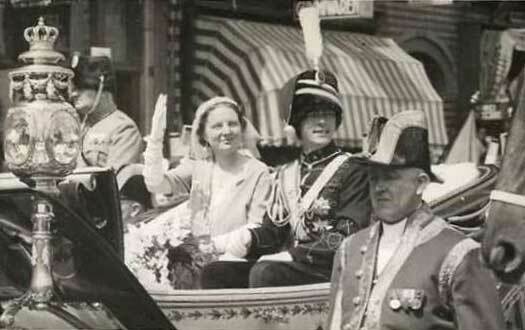 Prince Ernst of Lippe comes to regret his decision of 1958, in which he had declared that the eldest of all of Lippe's princes still alive in Germany would henceforth be head of the House of Lippe. He now qualifies his statement by announcing that all princes of Lippe should be considered for the role of head of the house, and not just those living in Germany. At a point between 1958 and 1990 he re-assumes his former role as head of the house (possibly at the death of Prince Simon Casimir in 1980), although this seems not to be with universal agreement. Many still apparently view Armin as the head of the house, and his son Stephan as his heir. With the death of Prince Ernst, his son, Friedrich Wilhelm continues his claim to be head of the House of Lippe, while the acknowledged head seems to be Armin, perhaps restored following the death of the elderly Prince Simon Casimir. However, Friedrich Wilhelm's offspring are all girls, so his claim is likely to end with him, leaving Armin and his heir, Stephan, as undisputed heads of the house.